Week-long sessions available starting January 07, 2017. Each week is limited to 4 spots and may be used as internship experience (for those desiring to use this opportunity as a CV builder!). There is the likelihood of snorkeling with humpback whales during each session as we evaluate the in-water program in the local whale watching industry. 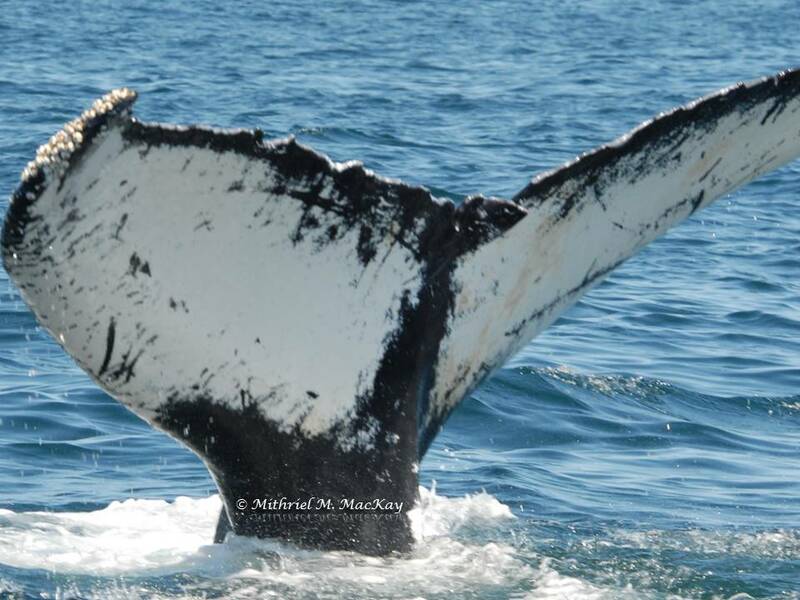 MCERC is inviting people to join us for our research program where we are initiating a multi-year study of humpback whales and the tourism industry, collect images for photo-ID to contribute to the North Atlantic Humpback Whale Catalog, and examine other questions related to seasonal occurrence patterns. The program will be incorporated into the snorkeling and boat whale watching programs to study the impact of a growing industry. Participants in the program sessions will be collecting data under the guidance of a team of four research assistants. The sessions are Saturday through Saturday on Salt Cay, Turks and Caicos (TCI). Saturday and Sunday are free days to take advantage of activities available on Salt Cay, including diving, snorkeling, swimming, and beach walking on this beautiful island. Monday through Friday we will be on the water for whale watching trips with Salt Cay Divers, and snorkeling with humpback whales (when weather and the behavior of whales permits) while we collect data to answer specific questions. You will be an active part of the team collecting behavioral data, acoustic data of singing humpback whales, and locating groups of whales using directional hydrophones. This project is supporting the newly developing regulations for TCI’s Department of Environment and Maritime Affairs (DEMA). We will be collecting data on all cetacean species off TCI during boat trips. MCERC will be collecting data on sea turtles by free diving and snorkeling in water, as well as beach walks over night and during the day time hours. You will learn sea turtle ecology along with your humpback whale ecology curricula! Each day we will conduct roundtable discussions over peer reviewed publications. We will learn humpback whale ecology and evolutionary biology, incorporating policy, law, and conservation into the discussions. You will be instructed in software programs related to acoustic data analysis and matching fluke patterns. We will also collect data on other cetaceans off TCI, creating catalogs from our images and images shared by the local businesses. We will include beach walks aimed at collecting data for DEMA’s long term turtle ecology study, effectively extending their research to the smaller islands. Participants will be attending the open discussions for TCI’s residents and tourists aimed at offering education outreach programs in support of local businesses. The cost of this program is $900USD/week and covers three meals a day, a place to sleep, boat excursions Monday through Friday, and the field intensive curriculum. Bring your own snorkel gear for Saturday and Sunday or rent from Salt Cay Divers to take full advantage of your time on the island. The program fee does not include travel to and from Salt Cay, TCI. For more details go to www.Marine-Eco.org/mcerc-moodle. To register, request passcodes to the Education Hub by emailing Nicole.MCERC@gmail.com. There is no application process, and spots will be filled on a first-come, first served basis. We are excited to be expanding our humpback whale research conducted off Puerto Rico, to the Turks and Caicos Islands. We would love to have you join us! Participants are required to sign and submit liability release, proprietary data release, and photography release forms. Mandatory health and travel insurance are needed to participate. Proof of both must be submitted prior to arrival in TCI. Accommodations will be consistent with a field project in a remote location. Please plan on outdoor “camp style” showers, and a tent or small building to set up your sleeping bag with our team. We will be stationed on the beach, so bring your snorkel gear! How: Send us an email saying you are interested in the “HWFI” and we will send you access to the Education Hub to register. No application required! email mcerc.mail@gmail.com. Why: to build field research skills for marine biologists Places in the sessions for whale research with MCERC fill very quickly. Participants must be at least 18 years old and have a high school diploma. Please see details on the Education hub. Participants often are able to earn 3 univeristy credits with a faculty adviser on their campus. Information for your adviser is posted on the Edcution Hub. If you are in need of a particular weekend, please consider signing up as soon as possible.